Angus comes from a family of artists on his mother’s side, and has been interested in painting since childhood. He spent the greater part of his career in arts administration. He was Deputy Director of the Arts Council of Great Britain; Director General of the National Trust; and served for many years on the governing Board of the Courtauld Institute of Art. He has been a Trustee of the Byam Shaw School of Art and the City & Guilds of London Art School. 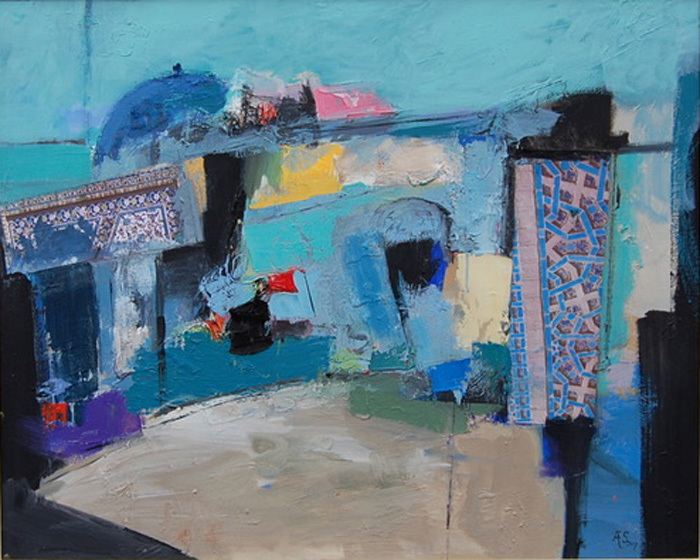 After retiring from executive work he returned to painting, and studied with Robin Child at the Lydgate Art Research Centre in Wiltshire. Angus has exhibited in selected group exhibitions since 2005. His work is now in many private collections. It is shown regularly at Catherine Miller’s gallery at 12 Hollywood Road, Chelsea SW10 9HY and under her auspices at London Art Fairs. In November 2010 Angus held an exhibition jointly with his daughter Kitty Stirling at Gallery 27 Cork Street London W1. This successful venture was followed by a second exhibition with his daughter at the Lynda Cotton Gallery in Watchet, Somerset in September 2012. Angus is interested in exploring the relationship between music and painting. 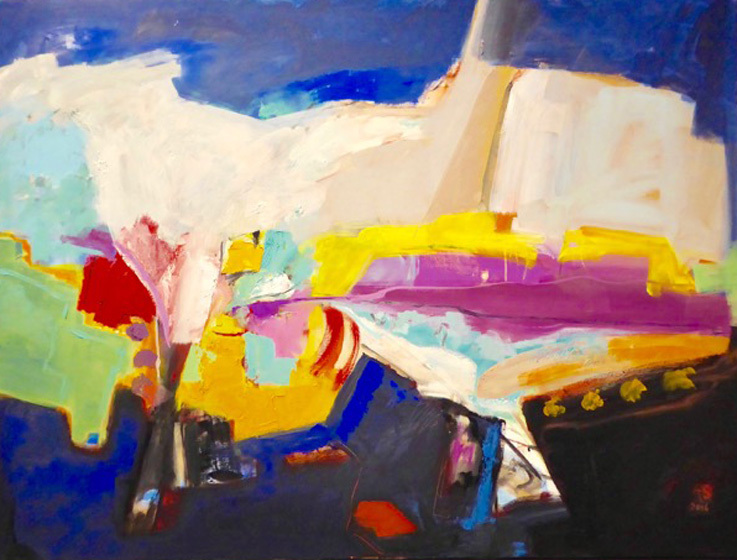 This is not interpreted as a literal concept but in abstract terms where key elements of composition – rhythm, form, tone, colour , line and counterpoint, – are all common to both art forms. Beyond these identifiable components of structure there is always a search for something more elusive, a sense of mystery or unexplained significance that invites contemplation. Colour plays a particularly central role in Angus’s work, not only to enliven the surface but also seeking to define space and form. He derives ideas from many sources, including observation of nature, architecture, still life and the human form, as well as music and poetry. 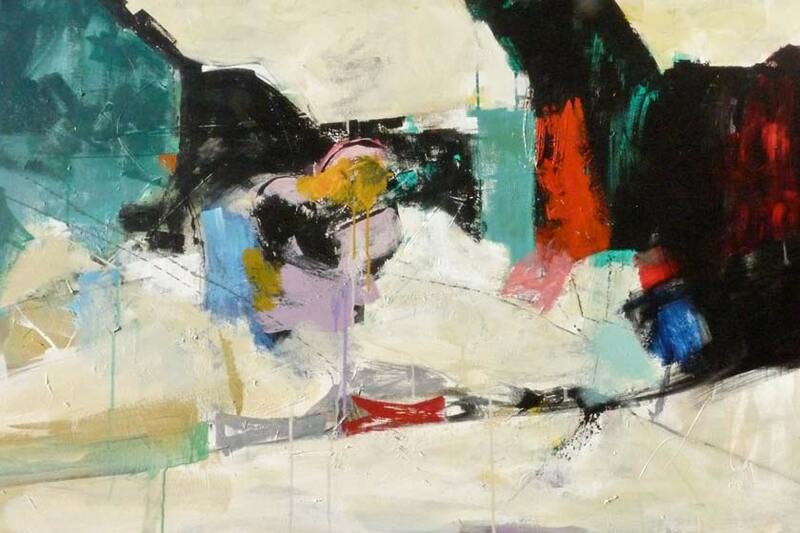 Artists who are a major influence on his development are Cezanne; The American Expressionists Diebenkorn, De Kooning and Helen Frankenthaler; and among British 20thc artists Ivon HItchens and Keith Vaughan.